The very first ever phone to be launched by Microsoft lumia smartphone all set to launch on November 11. This upcoming Lumia phone will the first product in the name of Nokia. The Lumia smart phones, which are known for their bright colors and top-of-the-line cameras, did not do very well in terms of sales, except in a few emerging markets. Microsoft is hoping that the Lumia smartphones will be rejuvenated and will gain more success under the company. 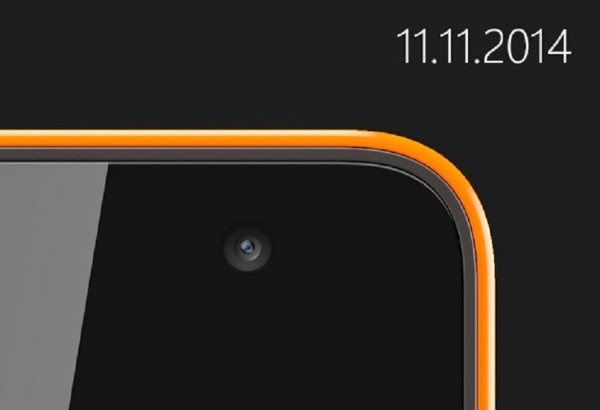 The new hastag teaser called #MoreLumia on Nov. 6 revealing a picture of a portion of a smartphone with an orange frame and the phone's camera. 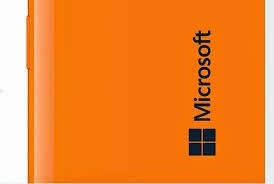 A little portion of the smart phone is revealed in the teaser that coincides with the orange picture that Microsoft released in October featuring logo of the company. Senior vice president Tuula Rytila of Microsoft said that the company is excited to unveil the first Microsoft Lumia, but denied that the change in name will effectively render obsolete the Nokia Lumia smartphones that are still operating today. The switch in branding was done as Microsoft looks to take steps toward full control of its newly acquired smartphone division. The Lumia smartphone line is a significant part of the company's plans; the devices will showcase the Windows Phone operating system. The company added that while Microsoft's branding will be more prominently featured in its smartphones, the Nokia brand will still be used on certain entry-level devices, as the brand still holds value in several emerging markets. Get your app created in the Wandroid ? Windows + Android = Wandroid. Contact here.